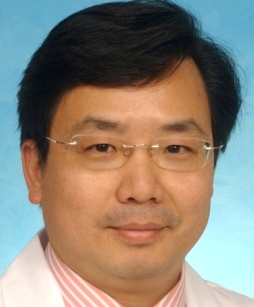 Dr. William Tse is Professor of Medicine and Attending Physician at James Graham Brown Cancer Center, University of Louisville School of Medicine. Dr.Tse received his medical degree from Sun Yat-Sen University School of Medicine, Guangzhou, P. R. China. He completed his internal medicine training at Long Island Jewish Medical Center/Albert Einstein College of Medicine and Medical Oncology/Bone Marrow Transplantation Fellowship at The Fred Hutchinson Cancer Research Center/University of Washington School of Medicine. Dr. Tse is focused on clinical and translational cancer research for hematopoietic malignancies including pre-clinical models for developmental therapeutics, cancer biology, and cancer cell signaling network profiles.He received the National Cancer Institute of Canada’s Terry Fox Physician Scientist Fellowship Award, the Association of Specialty Professors (ASP) T. Franklin Williams Scholar Award, and the ASCO Career Development Award.